It is hot and dry summer now in Australia and all we want now is cold drinks and cold food. For the past few weeks, we have been eating a lot of Japanese cold buckwheat noodles. Not bragging... but honestly, these noodles are the most easiest food to cook!!! So easy that I can serve these noodles with 10 minutes and most of time, I'm twiddling my thumbs waiting for the water to boil!!! LOL! Say that I'm crazy... but I really hate wasting time waiting!!! So, I have cooked something extra... Something crunchy and yummy to compliment these noodles. Yes that I have cooked crispy vegetable tempura. Ironically, I actually need more than 10 minutes to cook these noodles and tempura. Say that I'm crazy... but I really don't mind cooking these. ... I have used this. Something instant and it tastes as good as the one that is made from scratch. However, I don't really know how to read these instructions. No worries! I have managed to decode these! Then, I added these to make the dipping sauce. Next, I prepared the vegetable that I want to fry. 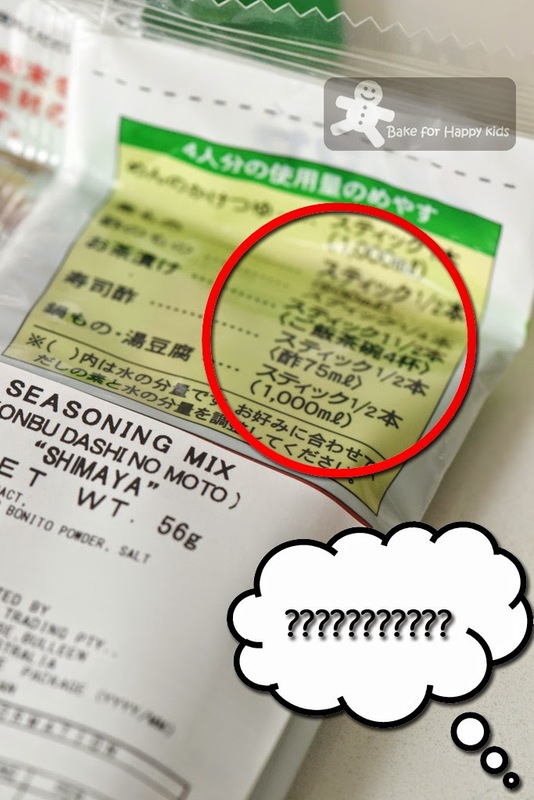 Me with prawn allergy: Can you please buy prawns that has been shelled and deveined because I'm afraid that the handling of the shells cause my allergy? My husband nodded his head. Then, my husband and son went off to buy the things that I need and they came home with this!!! These frozen prawns are super tiny!!! Me, feeling upset after seeing this: These prawns are so tiny!!! Plus they don't have tails too! My husband tried to explain that what I want was kind of impossible to find in our local supermarket. "You need to go to a market to buy the kind of special prawns that you want..." said my husband. "Mum, please don't be upset with Daddy! I was the one who choose the prawns without the tails" said my son, trying to defeat his dad and also resolve our argument. Knowing my limitation, I have to admit that beggars can't choose. I did tried to use these prawns to cook the tempura but they are too tiny to have the batter sticking on them. The bottom line is Please DO NOT buy frozen prawns to cook tempura!!! The fresh ones are the best and you have to have NO prawn allergy so that you can shell and devein them! LOL! 2) Use cooking oil that has high smoke point. Ideally, the choice has to be something healthy with the least saturated and trans fat! Although canola oil (with 7% saturated, 0.8% trans fat) is good, it doesn't contain enough saturated fats to make the fried food crispy. And, whenever I use canola oil for deep frying, I will add a tablespoon or two of Crisco vegetable shortening. Why didn't I explore the option of using different oil for deep frying? Yes, I did and discovered rice bran oil (with 20% saturated, trans fat free!) being another great option for deep frying. Although it is more expensive than canola oil, its price is actually quite comparable if I buy the oil when it is on offer or in larger bottles. In regardless, I find that rice bran oil is the best choice for my cooking so far because it is totally trans fat free! 3) Make batter in batches as it is important that the batter need to be cold before frying. 4) The oil has to be hot enough (170-180°C) for frying. If you are frying a lot of food, fry them in batches as overcrowding can lower the oil temperature. 5) Serve immediately! Tempura tend to be less crispy when they are cooled. 6) Still not crispy enough??? Place cooked tempura on a wire rack and place the wire rack on a baking tray lined with foil or baking paper. Bake tempura in preheated oven at 180°C or 160°C fan forced for 10-15 mins and you will sure get a nice crispy finish. This is how I made the batter. The tempura is almost ready... It is time to cook the soba noodles. Can't wait!!! Got to eat these while they are crispy! 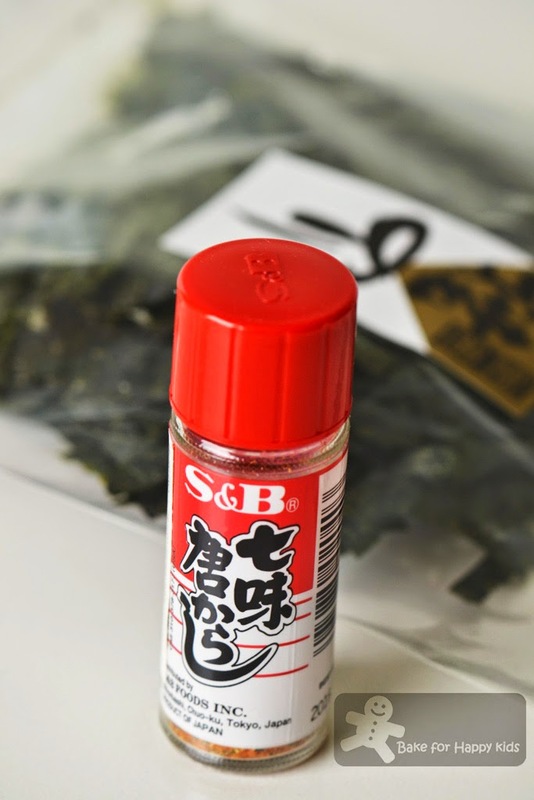 One typical 8g serve can make 750ml of stock with the right amount of saltiness to make the base of this dipping sauce. To make 250ml of stock, dissolve 3g of instant mix with 250ml of hot water. 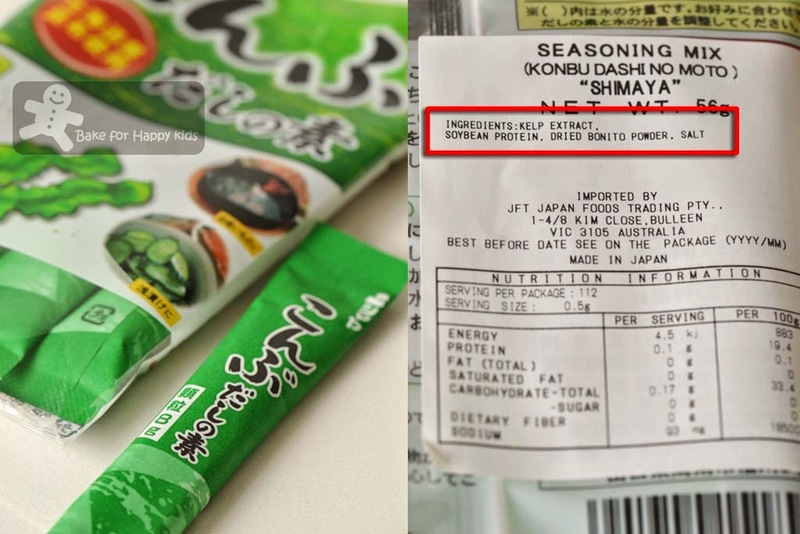 Please note that the saltiness of different brands of instant dashi stock can vary and so please check the saltiness after you have made your stock. large prawns, shelled and deveined, tail intact, make 3 incisions across the belly of each prawn and straighten their bodies. 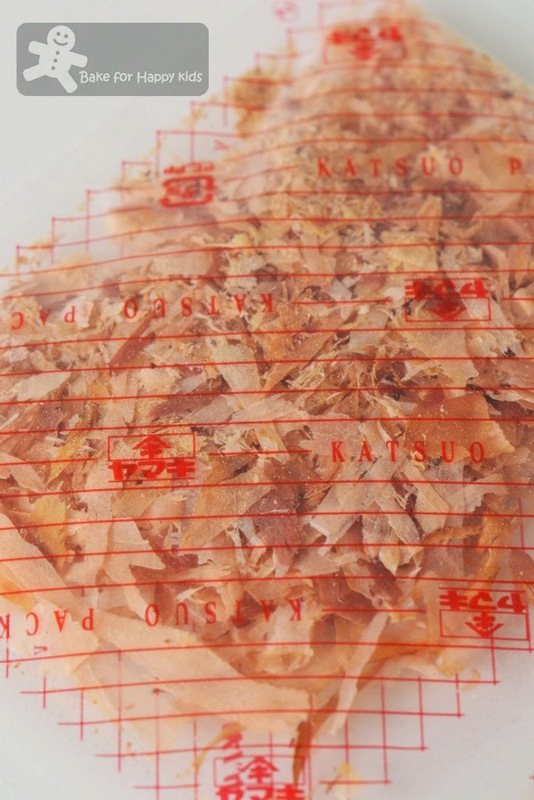 squid, cleaned and cut into 3-4 cm pieces, make a few diagonal slits on both sides of squid. This prevents them from curling when cooked. Japanese aubergine (nasu or eggplant), cut crossway into thick pieces, make few parallel cuts diagonally at one end of each piece of aubergine for it to spread out like a fan. 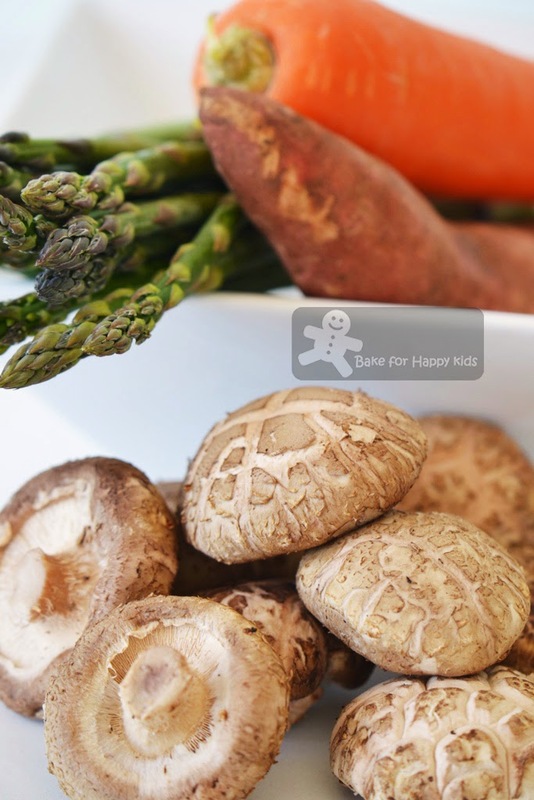 Note: I have to make two batches of these to fry 1 carrot, a bunch of asparagus, 1 sweet potato and 9 mushrooms. Place kelp and water in a saucepan. Soak for 3 hrs or more. If time is limited, skip this step. Bring water to boil and add bonito flakes. Reduce to simmer for about 10 mins. Remove from heat and strain the stock after it has been cooled completely. Alternatively, you can use an instant like what I did. 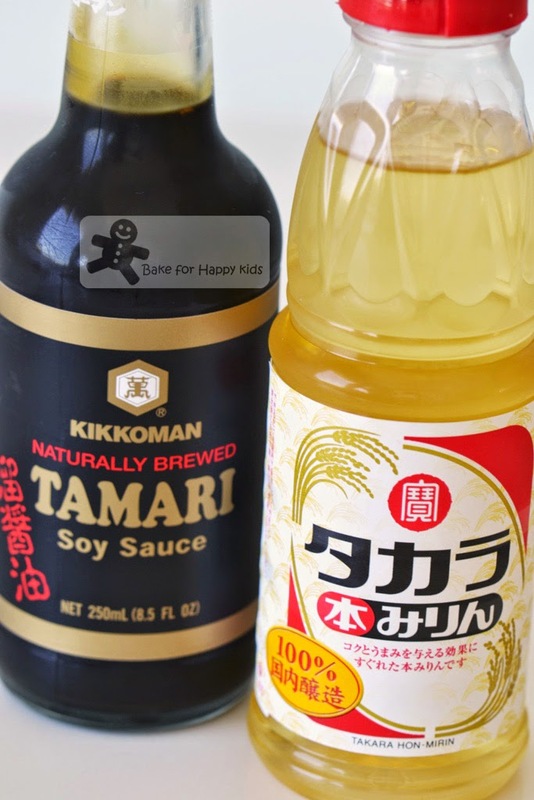 Combine 200 ml dashi stock, soy sauce and mirin. Combine and set aside. Place water and egg yolk into a mixing bowl. Mix lightly. 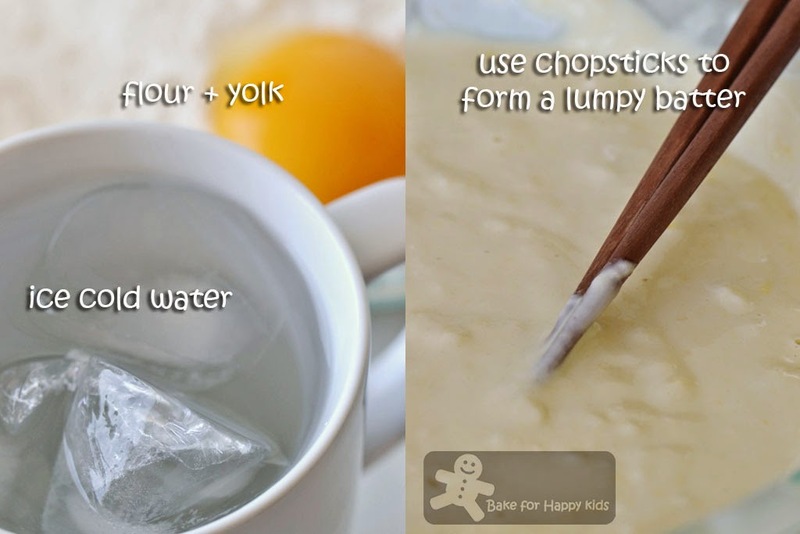 Using chopsticks or a fork, fold in flour lightly to form a lumpy batter. Do not beat. Heat cooking oil to 170-180°C or 340°F. Please note it is important to fry tempura in hot frying oil. Dip the prepared vegetable / prawn or squid or fish into the batter and deep-fry them in hot oil for 2-3 mins or until crispy. Remove and drain on absorbent paper. Serve immediately with bowls of dipping sauce. Bring a large pot of water to rapid boil. Add noodles and cook for 4-5 mins, or until just tender (refer to cooking instructions on packet of noodles, if unsure). Drain noodles in a colander. Rinse and rub drained noodles for a min under cold running water. Drain well. Divide noodles into serving plates. Serve with bowls of dipping sauce shredded nori and togarashi, if desired. very nice japanese meal...organic soba is the thing for me... one serving please! I like ramen with tempura.. I just had dinner at Sakae Sushi last weekend and I had lots of tempura.. I dont mind vege tempura though, hehe.. Your buckwheat noodles and tempura look so good, I can have this for bfast, lunch & dinner for a month! The tempura looks delicious!!. never had cold noodles though. Hi Zoe, happy new year to you and family! Your dish is perfect for summer, thanks for sharing. I only buy Alpha One rice bran oil, for cooking and also for baking too. Hi Zoe, Happy New Year. Too bad I'm not in Australia to enjoy the giveaways, hehehe! That looks so yummy zoe! Zoe, you are so blessed, your son is so cute and a very good peace maker. Oh Zoe , I just laughed so hard as I reading re those itty-bitty frozen shrimps :D I remember last time when I was too lazy to do the cleaning of shrimps and opted to buy frozen instead , they look bigger before I defrosted them , good thing that I only used them for my corn fritters *sigh* I don't like cold soba so I'll have several pieces of your veggie tempura ! Hi Zoe! Yes, I remember you are allergic to prawns. 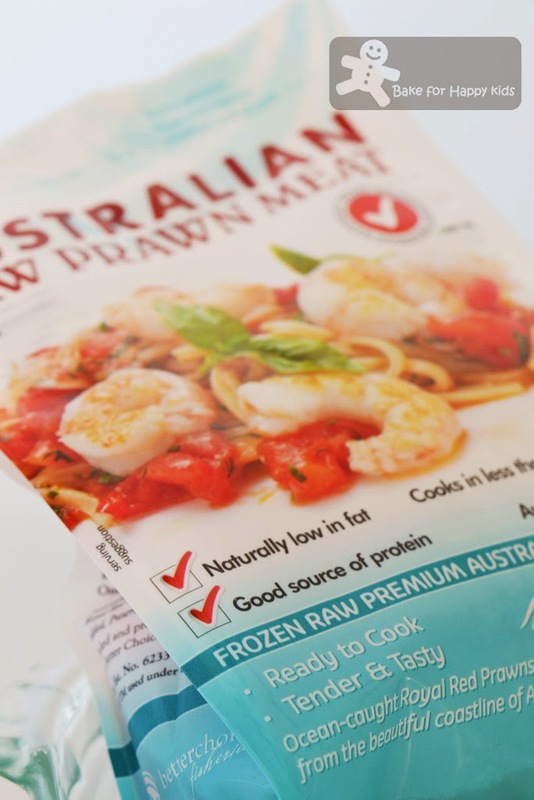 I don't like frozen prawns either because they are too wet. Anyway, I am not much of a tempura fan and I still can't get used to eating cold noodles. But I bet your family enjoyed the noodles and tempura even though the prawns are tiny. Lovely meal idea, love tempura. 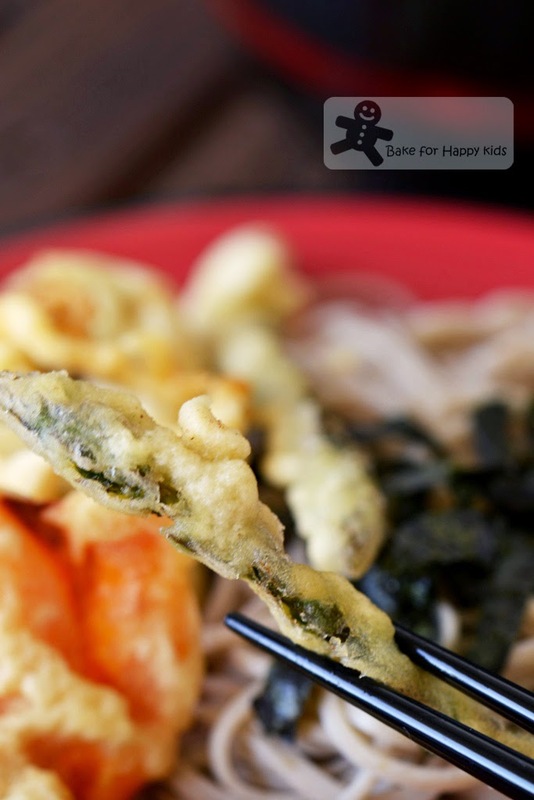 Soba and tempura sounds perfect together! Would love to fry tempura at home but the thought of an oily and smoky kitchen deters me from doing so... so for now I shall just be satisfied with your photos! YUMMY! I eat Japanese quite frequently here! There are so many outlets that are affordable back in singapore so I haven't bothered to do it at home! Love that you're making it at home! My mom and I both love making soba noodles at home! She likes buying different types too like green tea and a red colored one too! Thumbs up for this meal! You are so cute about the frozen prawns. Yummy! Your Jap meal is so inviting ^-^! 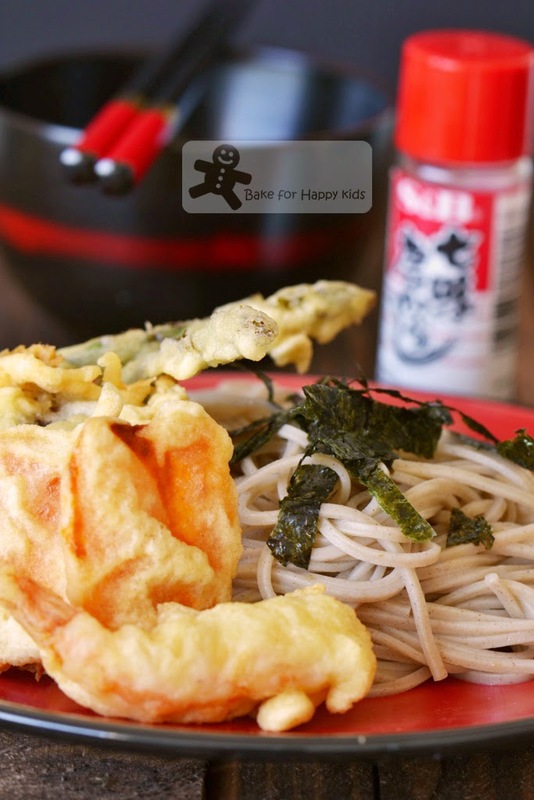 My big kids love cold soba with tempura too .... but I'm too lazy to make fried tempura nowadays. 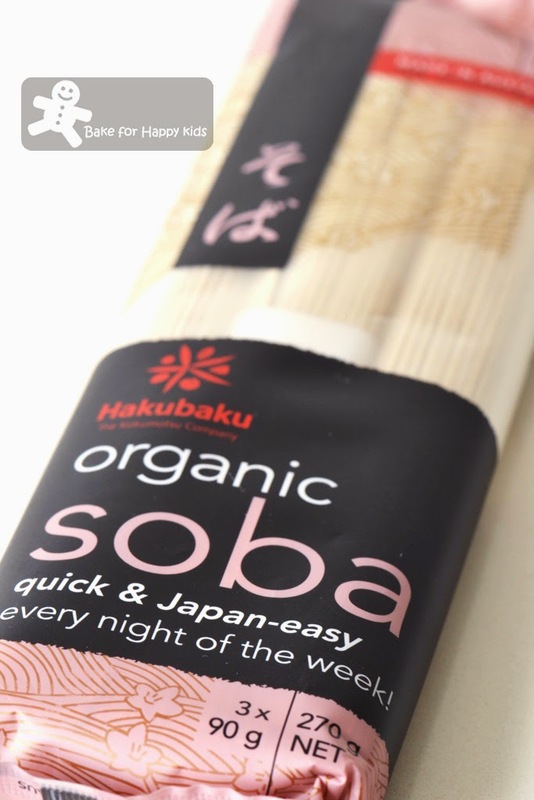 Hi Zoe, we love cold soba too, it's so refreshing for the hot weather and what we like most is of cos the short cooking time! Lovely tempura! I really need to cook soba noodles again -- haven't had them for what seems like forever, and they're such good stuff. Happy New Year! Hi Zoe! You have made this dish look so delicious! It's a good idea to have cold soba noodles in hot summer days! And wish me luck with the draw! Take care! What a wonderful giveaway. Too bad I'm unable to join the fun.